We are going to Bali in a special ecotourism tour. Bali, the Indonesian island is known for its beaches, forested volcanic mountains, iconic rice paddies, and coral reefs. The island is home to many important religious sites such as Uluwatu Temple. Bali is renowned for its highly developed arts, including traditional and modern dance, sculpture, painting, leather, metalworking and music. This island is also known for its yoga and meditation retreats. We will be visiting at Bali’s south, the beachside city of Kuta, a touristic and fishing village, it is known for having lively bars. 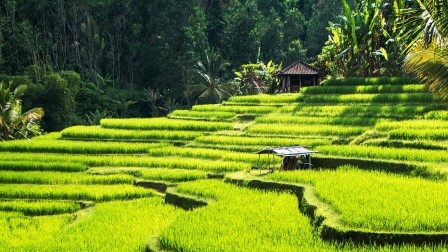 We will as well visit Ubud located amongst rice paddies and steep ravine, it is promoted as an arts and culture center. We will have a ferry trip to Gili Trawangan Island, part of an archipelago of three small islands with beautiful beach resorts. We will pass by a smaller neighboring island, Nusa Penida a hilly wonderful island. Upon arrival at the Bali Ngurah Rai International Airport at Depansat, Bali’s Capital, we will meet the guide before we get drop by bus to the hotel in Kuta Bali. Overnight at the hotel in Kuta Bali. 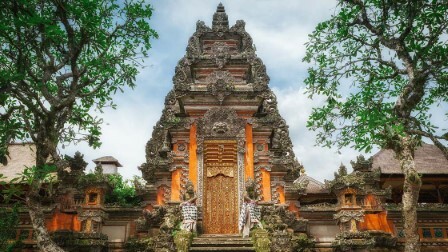 In the morning, we will explore the city of Denpasar in a City Tour, the Capital of Bali. We will stop at Puputan Square. This bit of urban open space commemorates the heroic but suicidal stand of the rajas of Badung against the invading Dutch in 1906. Then we will visit the 3D Museum. Dream Museum Zone is a fun and interactive art gallery featuring a vast collection of three-dimensional, life-size murals for visitors to pose and play with. Later on, we will visit Bajra Sandhi Monument. It is a monument to the struggles of the Balinese people throughout history. We will stop at Ramayana Mall for local shopping, after which we will be dropped to the hotel. Overnight in Kuta Bali. We will go to Benoa Beach for Water Sports sessions. You will enjoy Banana Boat, Jet Skiing, and Parasailing, one round each. We will be able to walk along this beautiful beach. After lunch, we will go for a visit and tour at the Uluwatu Temple, which is located on south beach of Bali has a unique architecture with palm-frond black roof stacked into the black. We will enjoy a walk with historical exploration on the beach followed by traditional dance of bali Kecak. This dance is originated from a Balinese ancient ritual called Sanghyang. It is a dance in which dancers fall into a trance, aiming to repel evil spirits. Overnight at our hotel in Kuta Bali. In the morning, we will we depart from the hotel to Benoa beach and catch our special boat with glass bottom from which we can see water life through glass and reach Turtle Island. We will have a walk across the island and explore various species of turtle amongst the forest and the island. The green turtle is one of the rare animals that is protected by the Indonesian government, due to protect the green turtle and its habitat. We will depart for our Dinner on cruise. We will have dinner, with dance and music, before proceeding to the hotel. Overnight at the hotel in Kuta Bali. Check out. We will head today to Gilli Trawangan by Ferry. This day will be a leisure, relaxing day on one of the best beaches in the world. Overnight at the hotel in Gili Trawangan. 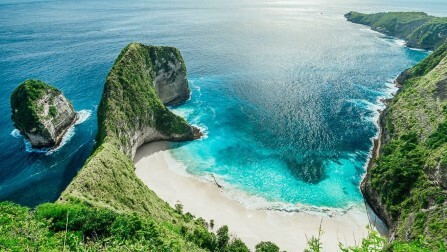 This day, we will have a tour in Nusa Penida This island is a neighbor island separated by the Badung Strait from Bali. The interior of Nusa Penida is hilly with a maximum altitude of 524 metres. You will be able to explore beach activities like scuba diving, snorkeling (Optional), or have a small walk at the beach. Overnight at the hotel in Gili Trawangan. We will start our day early in the morning for an optional hike or you can have your own a free time. We will start hiking pantai Atuh, Raja Lima Diamond Beach & Bukit Teletubis. We will be dropped to the hotel to relax. Then we will head to Ubud for check in at the hotel in Ubud. Today, we will depart for Rafting in the banks of river ayung. It is an optional rafting at the White Water in Ubud. Later on, we will have a Tanah Lot Sunset Tour. It is a tour famous for its beautiful sunset. Tanah Lot is a rock formation on the beach off the Indonesian island of Bali. 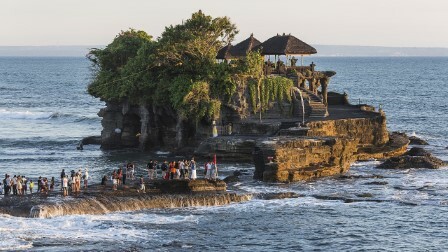 It is home to the ancient Hindu pilgrimage temple Pura Tanah Lot, a popular tourist and cultural icon for photography. Enjoy the scenic place by walking across. Overnight at our hotel in Ubud. 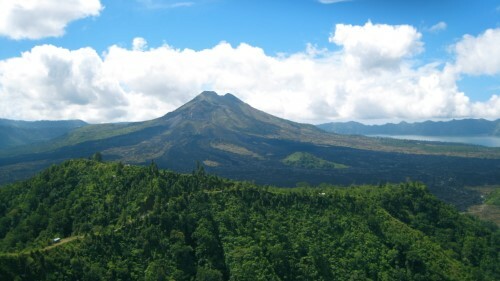 We will be exploring Kintamani Volcano with Mount Batur beautiful view. Then we will do the Ubud Tour in which we will visit the Royal Palace, a historical building complex, one of the most prominent places in Ubud. We will later on explore the market of Ubud. Drop off at the hotel in Ubud. We will be transferred to the airport, to head back to Beirut, with beautiful memories and explorations. WHEN: Friday, April 19th @ 10:40 PM to Monday, April 29th. WHAT TO GET: Overnight essentials, change of clothes, towel and swimsuit, sunscreen, cap, sunglasses, jacket…..and PASSPORT. MEETING PLACE: Beirut International Airport. • The passport must be valid for at least 6 months. PRICE: 2950 $ per person. •	Accommodation on Bed & Breakfast for 8 nights / 10 days in 4 stars hotels as mentioned above. •	Local guides English speaking. •	Transportation by deluxe A/C bus during the whole tour. •	The tours included in the itinerary. •	Sunset Dinner Cruise at Gili Trawangan. •	White Water Rafting with Local Balinese Lunch. •	Water Sports - Banana Boat Ride. •	Ferry Transfers Bali- Gilli – Bali. •	The taxes and charges. •	Price: $2950 If you confirm registration and pay before January 30, you will get a discount and the price will become $2 850. •	Last day for registration is March 10. •	An extra $ 750 will be charged if you want a single room. •	The passport must be valid for at least 6 months. •	Cancelation after March 11 will not be refunded. RESERVATION: For reservation call us on 03-917190. 1- The amount of the trip. 2- A copy of your passport. 3- Information for Visa (For information on visa procedure, please visit the Embassy´s website or contact us for all details).